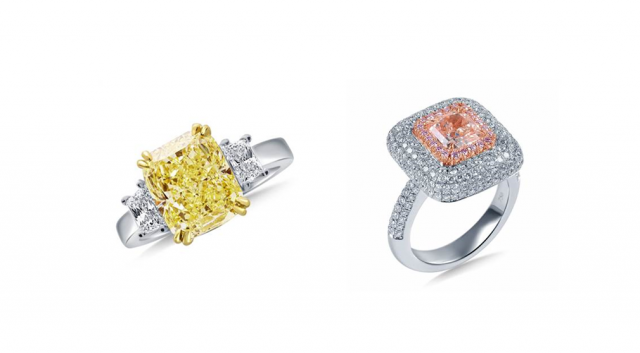 The holiday season is all around us, so why not look at some dream gems perfect for a wintery engagement. Now, we’ve made a list and checked it twice and are going to show you some of our fancy fantasy engagement rings perfect for that special someone. The sun will come out tomorrow, especially the day after you say yes to this canary yellow stunner. The side stones are trapezoid cut with the center stone a vibrant cushion cut. 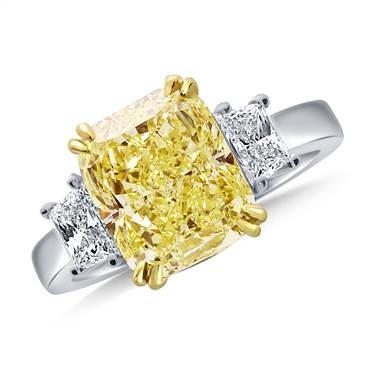 This ring is definitely a diamond bringing sunny days ahead. Ahhh, this stunner strikes the perfect balance between elegance and beauty; just like the prima ballerina in the Nutcracker. 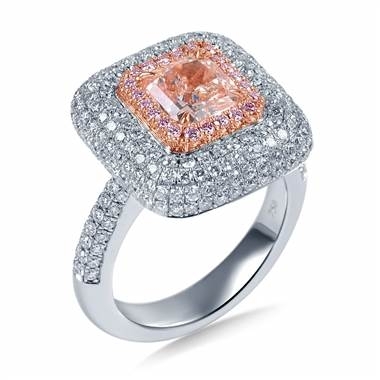 This tutu pink diamond ring has a radiant cut center ring with a surrounding halo comprised of pink and white diamonds. A fitting tutu indeed for a very special finger. We love this ring because not only is it a unique engagement ring, but it’s versatile enough to be the one gift you really want to unwrap on Christmas Day, engagement or no engagement. 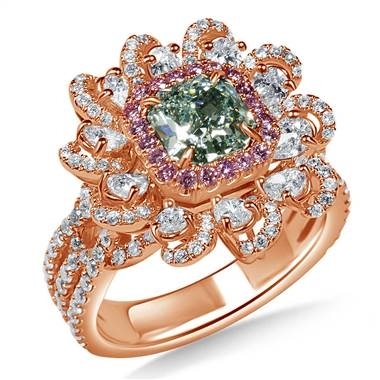 A bluish green radiant cut center stone is highlighted by three rows of diamond petals. A very Merry Christmas indeed when you find this under the tree! Tis the season for big, beautiful baubles and we’re here to show you all of our fanciest jewels to put on your wish list. If any of these jewels strike your fancy, discreetly slide this list to your significant other and prepare to have the best holiday you’ll ever have!